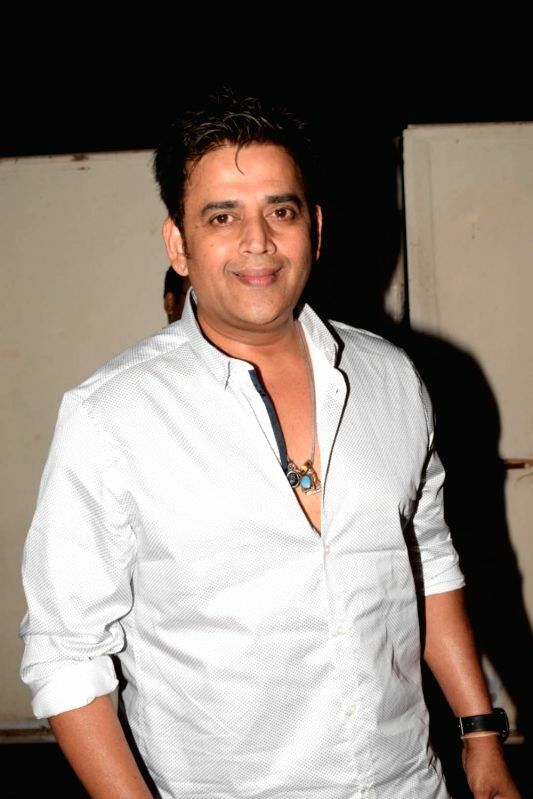 Actor Ravi Kishan at the screening of upcoming web series "Kehne Ko Humsafar Hain" in Mumbai on March 13, 2018. Mumbai, July 20 : Actor Ravi Kishan has signed a seven movie deal in Bhojpuri with network Zee Entertainment Enterprises Limited (ZEEL) channel Big Ganga. "All seven movies that will be produced will offer differentiated content and will be subject based than only being masala entertainers," Ravi said in a statement. The actor says the channel understands "the pulse of the audience and has a wider reach across the states of Bihar and Jharkhand, where the viewers consume Bhojpuri content." "Through this partnership, it is our endeavour to take Bhojpuri Cinema to the next level and I sincerely hope that my fans will enjoy watching these movies," he added. Ravi, who has signed a deal over a period of 2.5 years, includes seven Bhojpuri movies titled "Sanki Daroga", "Parem Pothi", "Sher Zinda Hai", "Sanki Daroga 2", "Mangrua Ke Prem Katha", "Ragadta Bihar" and "Babbar Sher". "The seven movie deal with Ravi Kishan Productions is a step towards bringing in Bhojpuri cinema to newer audiences and continue to grow the industry with compelling storylines. We are confident that each of these movies will resonate well with the audience and provide a push in the right direction to the growing demand for Bhojpuri cinema," the spokesperson of ZEEL's Big Ganga said.